Want another battle royale game? If so, Netease has you covered. The Chinese giant’s Knives Out has been immensely popular on mobile — Netease claims it has over 200 million players — and now it’s available as a free download for PC. I tried one match and found it to be … well, “inspired” by PlayerUnknown’s Battlegrounds is putting it nicely, though it does have some nice features. Snowy terrain, an easy-to-use inventory system, and a chairlift (that I couldn’t figure out how to use and might not be accessible) are a few of the game’s more interesting bits. The downsides: The UI is still very much meant for mobile and graphics quality was lacking, as was interaction. I saw exactly one person during my match, and he seemed to be disconnected, since he was running in place. The kill feed seemed well-populated, though, almost entirely with Chinese names. Oh, and I won, somehow. Without as much as firing a shot. 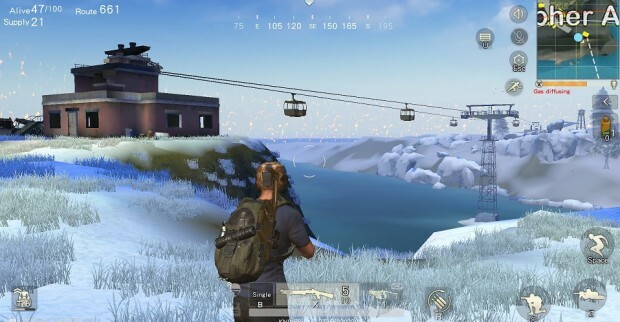 As free-to-play battle royale games on PC go, Knives Out is more than a few notches below Fortnite Battle Royale and H1Z1, in my opinion — especially now that Fortnite’s on mobile and apparently out-earned Knives Out by a factor of 25 to 1 in its first four days. But if you want to give it a try, you can download it from the official site. As for me, I think I’ll retire undefeated.